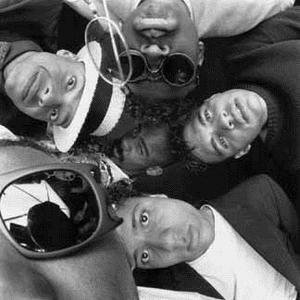 Fishbone is a long-lived, influential band, self-described as jazzy ska-gospel punk rock-reggae. The band was formed in 1979 in the ghettos of South Central Los Angeles, California, USA by Angelo Moore, also known as "Dr. Madd Vibe" (vocals, saxophones ranging from soprano to bass, and theremin); Kendall Jones (guitar); John Norwood Fisher (bass); Philip "Fish" Fisher (drums); "Dirty" Walter A. Kibby II (trumpet); and Chris Dowd (keyboards, trombone). The group came from the same Los Angeles scene that spawned the Red Hot Chili Peppers and Jane's Addiction.